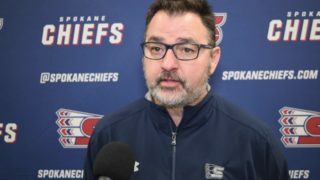 SPOKANE, Wash. — The Spokane Chiefs forced a decisive seventh game in their first round WHL Playoff series with a 5-2 win over the Portland Winterhawks on Monday night at Spokane Arena. The Game 6 win evened the series at 3-3 heading into Game 7 at Portland on Tuesday night. 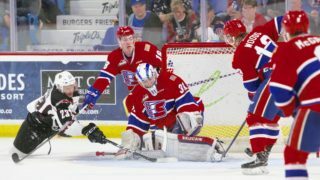 Spokane jumped out to a lead at 16:29 of the first when forward Eli Zummack forced a turnover in the Chiefs’ attack zone and fired it across the zone to Jake McGrew, who one-timed his second goal of the series past Winterhawks goaltender Cole Kehler to put Spokane on top, 1-0. Just 14 seconds later, Zummack added on with a goal of his own, deflecting a Tyson Helgesen shot attempt to put the Chiefs up 2-0 heading into the first intermission. 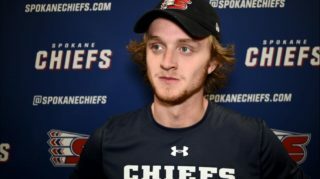 The Chiefs’ lead was cut in half 3:42 into the second period when rookie Mason Mannek got the Winterhawks on the board with a power play goal, his third goal of the series. Nearly four minutes later, it appeared that Chiefs’ defenseman Filip Kral had regained the two-goal lead with a shot from between the circles, but it was waved off due to incidental contact with the goaltender. Ty Smith made up for the disallowed goal and made it 3-1 before the next whistle, at 7:52, becoming the 12th Chief to score a goal in the series. 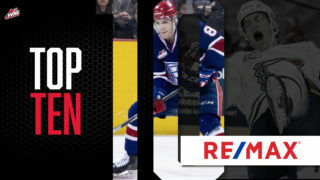 Ethan McIndoe made it 4-1 for Spokane with his second goal of the series at 13:50 of the second, tapping in an easy score off a perfect backdoor feed from Jaret Anderson-Dolan on the power play. Spokane carried the three-goal lead into the second intermission. 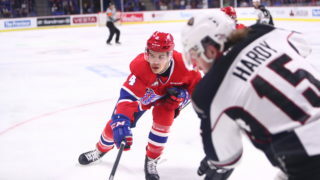 Chicago Blackhawks prospect Henri Jokiharju notched Portland’s second goal of the game at 4:09 of the third, sniping a perfect shot to the top-left corner to beat Spokane’s Dawson Weatherill. Spokane would not budge after that as Luke Toporowski added an insurance goal at 16:39, trailing Hudson Elynuik for a drop pass and sliding the puck between Kehler’s pads to extend the Chiefs’ lead to 5-2. Weatherill finished the with 31 saves to Kehler’s 22. Spokane went 1-for-5 on the power play and 2-for-3 on the penalty kill. The Chiefs hit the road for a winner-take-all game seven matchup tomorrow night in Portland. 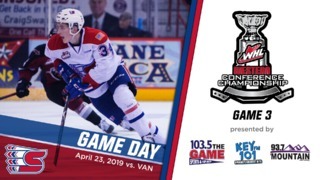 The winner will face the Everett Silvertips in the second round. Fans can tune in on 1510 KGA NW Sports Talk for Game 7, beginning with the pre-game show at 6:30 p.m. The puck drops at 7 p.m.